KALAMAZOO, Mich. — The Northwoods League All-Star Game is annually one of the better events on the summer collegiate baseball circuit. This year’s event took place in Kalamazoo, and, as usual, featured some of the nation’s more intriguing prospects. Tennessee’s Zach Daniels, who was competing in front of his home fans in Kalamazoo, put together an impressive performance. He was strong in the pre-event drills, he slugged the most home runs in the Home Run Derby and also had a solid showing in the game to cap off a fun-filled day. He wasn’t alone when it comes to position players. Butler’s Harrison Freed showed big-time power and Saint Louis slugger Tyler Reichenborn showed good tools from an offensive standpoint. Numbers can sometimes be deceiving, and that’s certainly the case with Daniels, the 6-foot-1, 195-pound, sophomore for Kalamazoo. Daniels was a heralded athlete out of high school in Georgia, but like many young players, scuffled in his first season at Tennessee, hitting .161 with a whopping 40 strikeouts. 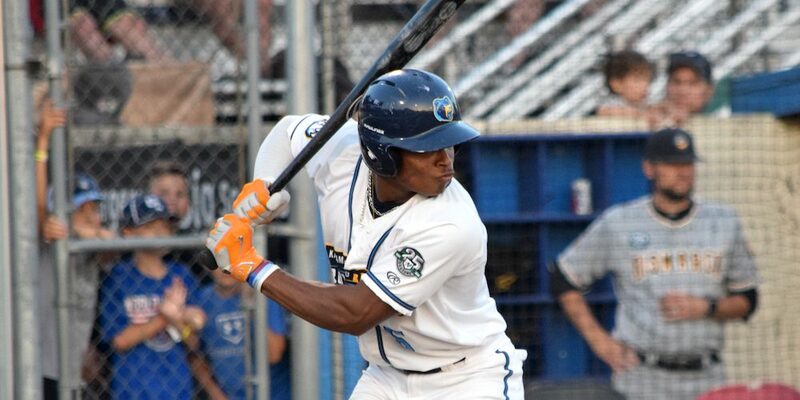 This summer at the NWL, Daniels is hitting just .250, but has five homers and has shown better plate discipline. In essence, the tools are all there for Daniels to be a potential breakout candidate for the Volunteers in 2019. Daniels caught my attention walking into the ballpark with his play in the outfield during drills. He had good instincts and everything just looked natural and easy for him. He also showed a solid arm to home and third. He looks the part as well. He has an impressive lower half and there’s still more strength to come in his upper body.